Innovative impact resistant equipment for industrial applications from Sentry. 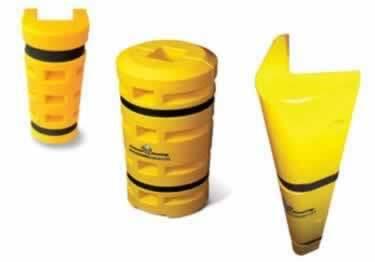 These protector products are ideal for any column including concrete columns, rack or corner pole. Sentry column and rack protectors are used to guard and protect any type of Pole or Column, Rack or Corner. Flexes, protecting the column or rack from the forklift, and the forklift operator. Sentry protector is impact resistant equipment to protect concrete columns, poles or racks. Protect equipment and docks with sentry corner protectors. This extra thick Rubber corner protectors provide maximum protection in storage spaces, parking garages and loading docks.